Ultrasounds, often referred to as sonograms, are digital images taken of a fetus in-utero. Typically, a 2-D ultrasound is used to determine fetal growth, organ development and gender. Pregnant mothers need a doctor’s prescription for a 2-D ultrasound performed in a hospital or other clinical setting. Some obstetricians have a 2-D ultrasound machine in office; use of which does not require a prescription. While 2-D ultrasound is the medical standard, many expecting parents seek out 3-D and 4-D ultrasounds for enjoyment purposes, though 3-D ultrasounds have been utilized for several decades as a diagnostic tool. 3-D ultrasounds take multiple images of the fetus from different angles. The images are combined, creating a 3-D image that shows facial features, umbilical cord and placenta, among other features. 3-D ultrasounds can be used for diagnostic purposes, but third-party ultrasound companies also allow parents an unparalleled chance to “see” baby before birth using the technology. Typically, medical insurance will not cover the cost of an elective 3-D ultrasound. 4-D ultrasound uses the same technology as 3-D ultrasound, but the images are recorded and played back in succession. 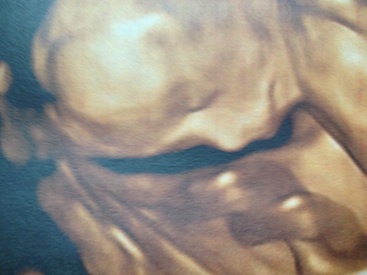 This creates a moving image of the fetus in 3-D. Parents can watch as their baby moves and kicks in the womb. While 4-D ultrasounds can be used for diagnostic purposes, in many cases the images created are used for personal satisfaction and bonding between parents and the fetus. 3-D and 4-D ultrasounds use the same technology as 2-D ultrasounds and thus follow the same strict FDA guidelines of obstetrical ultrasound. Taking 3-D and 4-D images of the fetus is no more dangerous than taking 2-D images. There have been some who suggest taking too many ultrasound images can be harmful to the fetus, but these claims are not backed with clinical study or results. High-risk pregnancies often undergo multiple ultrasounds to track the progress of the fetus with no ill harm to the pregnancy. Will Diagnostic Information Be Collected During a 3-D or 4-D Ultrasound? Most often, the first few minutes of a 3-D and 4-D ultrasound are used to collect diagnostic images. These images often report fetal size, position and number. 3-D and 4-D ultrasounds bring new life to fetal imaging. Whether used for diagnostic purposes or purely for entertainment and enjoyment, the processes are safe and FDA-approved for use during pregnancy. 3-D and 4-D ultrasounds do not take the place of diagnostic 2-D ultrasounds prescribed by your obstetrician during pregnancy.